Do you need something special for your team? We have the perfect solution. We offer Team Building Workshops for groups of 6 or more. Come and enjoy seeing our Gallery and then be amazed at the artist creating pieces in the studio. 1. You can come and watch the artist at work. 2. You can watch the artist at work followed by making a select piece for yourself. and then participate in a group project. Group Projects will be decided by the client and artist. There are several different projects to choose from depending on the client’s wishes. The Corporate Event consists of the following items. Each person will get a tour of the Studio, Gallery and Hot Shop, A short explanation of Peter’s background in art and his glass processes. The group will also receive a Demonstration of how Art Glass is made. Three (3) pieces will be demonstrated and they will be given to the group to keep.In addition to the above, each person will get to make a Art Glass piece. Each person will be able to pick out their own colors for their piece.Also each person will participate in a Team project. Team projects vary, and will be decided at time of booking the event with the artist. The Minimum number of people for this event is 6. Maximum number of people is 25 per group. Initial Booking fee is $900. This includes all demonstration projects, all materials, additional assistants. The cost is $85.00 per person (based on 10 or more people) If there are less than 10 people the cost will be $95.00 per person. A table for food and refreshments will be available on request. The Hot Glass Event consists of the following items. Each person will get a tour of the Studio, Gallery and Hot Shop, A short explanation of Peter’s background in art and his art pieces. The group will also receive a Demonstration of how Art Glass is made. 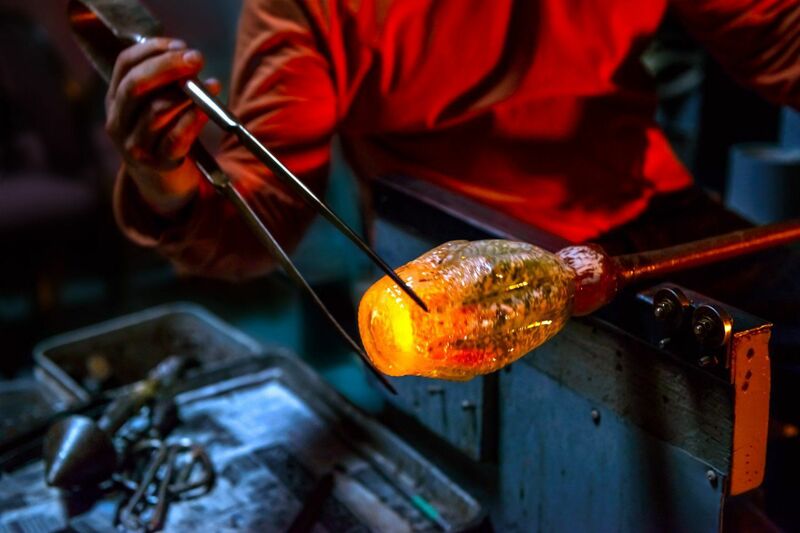 In addition to the above, each person will get to make a Art Glass piece. Each person will be able to pick out their own colors for their piece. The cost for this event starts at $50.00 per person (based on 10 or more people) If there are less than 10 people the cost starts at $50.00 per person.